Announcing STEMpreneurship Camps and Classes; launches with NC Coastal Pines Girl Scouts. The great inventions and technologies that shape our worlds today are a result of successful market launches. STEM and innovations need business ethos and acumen to become a desirable product or service. It is never too early to educate young children in the process of designing, launching and running a new business. 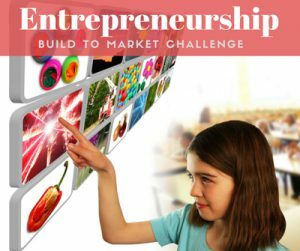 STEM For Kids is pleased to announce STEMpreneurship series of curriculum. “In this special series of programs, our goal is to inspire the next generation of STEMpreneurs!”, says Founder Moni Singh. In Build to Market Challenge, participants will work like innovators in designing a robot to solve an engineering or entertainment problem, build its prototype and then, like an entrepreneur, they will explore ways to market their product. On March 29th at the North Raleigh STEM Center. For more details on innovation and entrepreneurship programs, see https://stemforkids.net/programs. STEM For Kids® provides the broadest array of engineering, computer programming, biomedicine and entrepreneurship programs for children in grades preK-8 through summer camps, afterschool programs and workshops in and outside schools. Founded by a recognized business leader in STEM, Moni Singh, the Raleigh North Carolina based company has now expanded from its roots in the Triangle to multiple territories across the USA and outside.